[Updated: Here Are The Winners!] 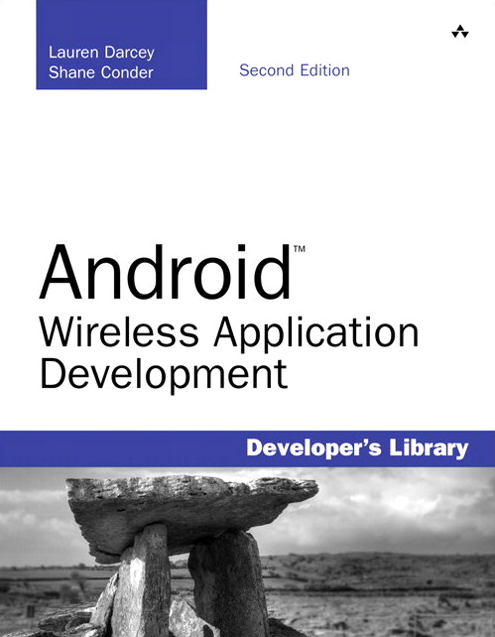 InformIT Holiday Book Giveaway #2: Win One Of Ten Copies Of "Android Wireless Application Development"
Our final giveaway today is another of our developer-oriented contests, and we're giving ten copies of the massive programming reference book Android Wireless Application Development by Shane Conder and Lauren Darcey, thanks to our friends at InformIT. Again, we ask that only developers or those interested in learning Android development participate, so that they can start making even more awesome apps for the rest of us. The start-to-finish guide to Android application development: massively updated for the newest SDKs and developer techniques! This book delivers all the up-to-date information, tested code, and best practices you need to create and market successful mobile apps with the latest versions of Android. Drawing on their extensive experience with mobile and wireless development, Lauren Darcey and Shane Conder cover every step: concept, design, coding, testing, packaging, and delivery. The authors introduce the Android platform, explain the principles of effective Android application design, and present today’s best practices for crafting effective user interfaces. Next, they offer detailed coverage of each key Android API, including data storage, networking, telephony, location-based services, multimedia, 3D graphics, and hardware. Winners can choose whether they want a hard copy or an eBook edition, as well. In the comments section below, (before you even get that far, PLEASE make sure you put a valid email address in the email field below the name field for your comment) tell us the title of the app you would make after reading Android Wireless Application Development. Be creative, funny, or silly - we'll randomly select ten entries as winners. This contest will run for 24 hours - meaning it will end at 2PM PST on December 17th, 2011.